Newcastle Jets ran out comfortable 2-0 winners against Western Sydney Wanderers, as the home side failed to find the back of the net, with the game being played on an abysmal debris covered surface. All the talk in the pre-game was about the disgraceful playing surface offered by the stadium. After a music concert a week ago, it became clear the ground had failed to clean up the facility before the Wanderers game. An inspection of the pitch found shards of broken plastic cups, and Newcastle coach Ernie Merrick had added to his collection of plastic with a metal screw he'd recovered from the pitch. Despite the clear potential for player safety to be impacted, the FFA Match Commissioner decided to play the match as scheduled. 10 minutes in the Wanderers should have taken the lead. Josh Risdon burst down the right flank, and with some fancy footwork launched a cross to the far post. Abraham Majok was practically standing on the goal-line, and somehow managed to get his body position all wrong, and turned what should have been a simple header, into a weak nod that Glen Moss cleared off the line. Instead it was Newcastle who opened the scoring. Nikolai Topor-Stanley broke from a misplaced free kick, and tucked the ball inside, Jason Hoffman made a smart run, and his touch took the ball past Vedran Janjetovic, perhaps with the assistance of Tarek Elrich for what might be claimed an own goal. With 5 minutes left in the half, Newcastle relaxed in defence, and allowed Llorente time to fire a cross to the back post. Oriol Riera had peeled away from his marker, and with Moss completely misjudging the flight in the gale force winds, Riera had an open goal, only to smash the header the wrong side of the post. 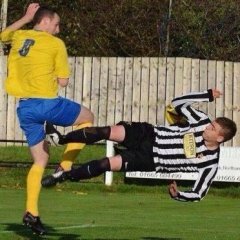 It was a golden chance, a sitter, and a marquee player shouldn't be missing from point blank range. The second half was a litany of Wanderers efforts where decent build up was ruined in the penalty area, as cross were hit into the stands, passes went to the sideline or a Newcastle player, and first touches were so poor that they ruined the chance. Majok had one such heavy touch around the Jets keeper, and he couldn't complete from the tight angle. Newcastle threatened a second on the counter for the last quarter of the game, and they finally converted one of their breaks in the 93rd minute, bombing forward in a blistering attack lead by Petratos that Vargas emphatically finished to win the game 2-0. It was another typical Wanderers loss, looking okay in the middle of the pitch but poor at either end. The Wanderers play Melbourne Victory in Melbourne next week. Majok is just a kid but has a long way to go. We should be able to field a squad by now that can produce more than just encouraging signs, regardless of coach. Time and again we are beaten or bettered by teams with our ex players playing key roles. I hope that they would hold money back for the dismal state of the ground. We really need Stieger and Rolly back in the team. Our defense was bad (lucky Vedran had some miracle saves) and we have nothing upfront, I was hoping for a sub and then realised who we had on the bench. Well, at least the weekend can only get better now, right? It's going to be a tough season. We lack quality to challenge but will be in the mix for 5th or 6th. That's not good enough for a club our size and former continental champions. We lack quality. A 6th or so of the season gone and we've won once. Against the Nix. Spotless was an embarrassment to our club and our league. The second half was a litany of Wanderers efforts where decent build up was ruined in the penalty area, as cross were hit into the stands, passes went to the sideline or a Newcastle player, and first touches were so poor that they ruined the chance. Majok had one ﻿such heavy touch around the Jets keeper, and he couldn't complete from the tight angle. The team was so ******* frustrating to watch, it is almost comical how bad we are. Whoever said we will never win anything until we leave SOP was right. That place is cursed (and we have way too many mediocre players). I remember saying to friends who support other teams that we'd be midtable mediocrity at best, and tonight only reinforced that feeling. Thought the RBB sounded pretty good from where I was. Imagine how dire the game experience would be without it? We all know we aren't getting any enjoyment out of what is happening on the pitch. What a terrible experience the move has been. 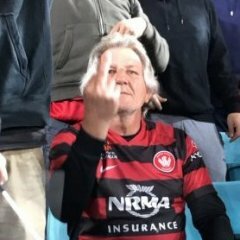 Only 12 games at Homebush to go. To be fair to Babbel you have to give him the whole season and then look at where we are placed at seasons end. I would think 6th is an absolute minimum for a club wishing to instill a winning mentality. Anything less and you have to class it as a failure. Our passing is way better than the past two seasons. To be fair to Babbel you have to give him the whole season and then look at where we are placed at seasons end. I would think 6th is an absolute minimum for a club wishing to instill a winning mentality. Anything less and youhave to class it as a failure. Our passing is way better than the past two seasons. The only defence of Babbel I have (I think he has improved things, from a very low base) is that much of the squad was already locked in. I was incredibly frustrated that he waited so long to make subs, but we also have **** all options/game changers off the bench. I do not mean to make excuses, we were shite, full stop. I woke up this morning and "I've got you Babe" was playing on the radio, just like it has on every morning of a Wanderers game for the past two seasons. Tonight was just another Ground Hog Day. IF three of our chances had gone in we win and Babbel is the supercoach. For what its worth, I think the coach has somehow extracted a reasonable amount of quality out of an average group of players. The signs are there that things will get better... But to be honest I’d happily take a goal or two over potential for the future, especially when there’s an open invitation to put the ball in the back of the bloody net. As for Newcastle, they looked scrappy in various parts of the pitch, but at least they grabbed their chances when they came. Riera's miss(es) and Majok's touch of a donkey aren't necessarily on Babbel. Admittedly, he picked Majok to start, but that's also because no other winger has made the spot their own. Kamau has done enough to earn one of the wings, but all the other options have been average at best (Roly looked OK (just OK) before injury). Well, that's a start isn't it? We never looked better under Gombau when we lost. If you can't see the difference between the way the team is playing now and the way they were under Gombau even though the results are the same then you simply have no clue. It does not matter whether Gombau was good or rubbish, if the players do not want to or will not play for you then you may as well pack up and go. Majok was the only one who looked like getting into a position to score tonight, but alas his 1st touch was less than satisfactory on most occasions. I hope he gets more of an opportunity as he can be effective when he gets regular minutes. All in all, my 4th last trip to that Soulless venue. Roly got hurt again. Out for a month. I hope we do but the guys running the ship here are tight arses.